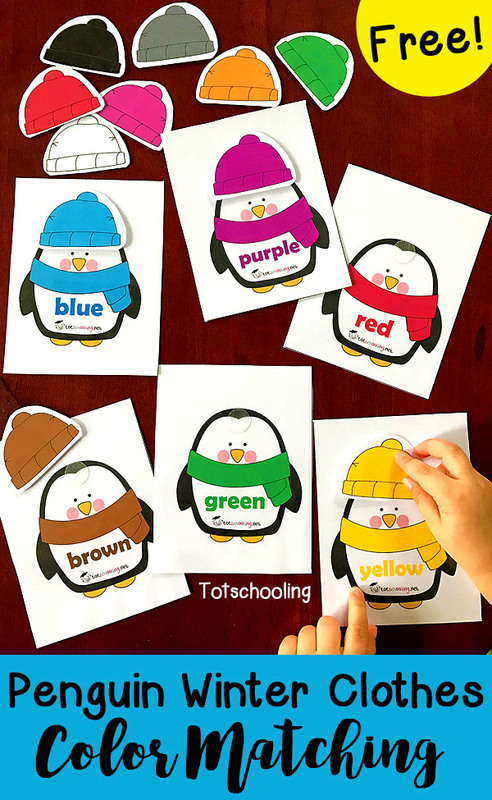 Get the free downloads from Tot Schooling, which include 12 penguins with different colors and hats to match. She suggests you laminate the pieces and use transparent Velcro dots (how did I not even know that was a thing?) to make it easier for little hands to put the hats on the penguins. So cute, and a great little seasonal activity regardless of whether there’s snow on the ground where you live.